They say that Rock is a universal language, though so often that only seems to be entirely true if artists express themselves through the medium of the English language. Personally, I enjoy a bit of linguistic and cultural variety, so it was nice to be asked to listen to 4 Bajo Zero's new album 'Antihéroe'. They are, in fact, the first Spanish band I've got my ears around since the early days of Barón Rojo – though I must confess that I remember them more for being Spanish and slightly madcap than for their music (I don't seem to have anything by them in my collection). So, can 4 Bajo Zero make an impression for all the right reasons? 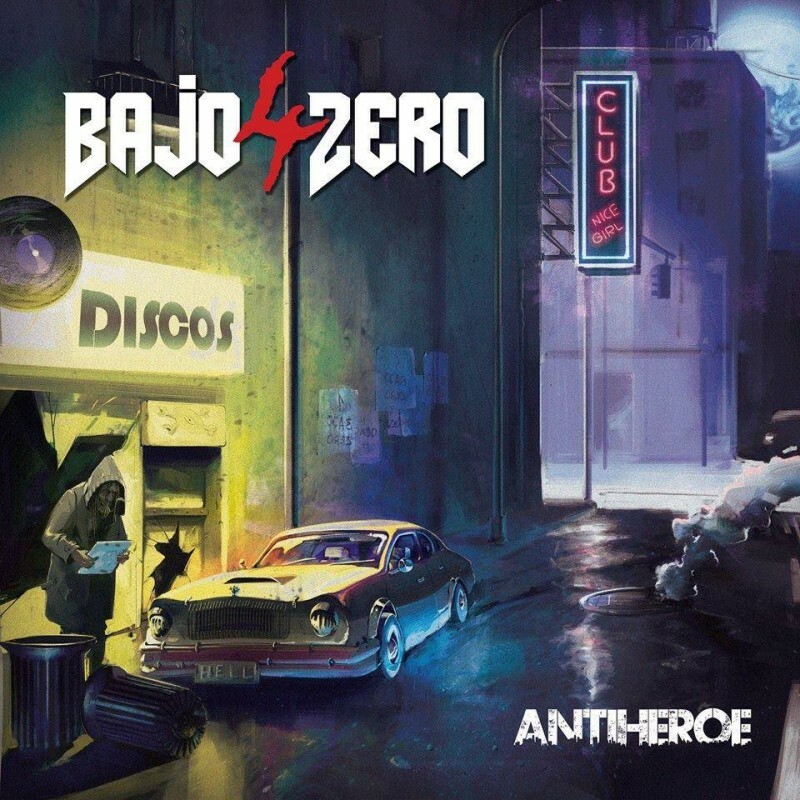 Hailing from Valencia, they were formed in 2013, and consist of four musicians with long histories in the Valencia Rock scene; 'Antihéroe' is their first full album. Initial listens reveal it to be a solid ball of rock (to pinch a phrase). It's a gutsy, Female-Fronted, Classic Rock affair that owes much to the influence of eighties Metal. They have a tight, compact sound that Metal aficionados will find easy on the ears; they also have bullets, though as far as 'Antihéroe' goes, they fire most of them early. The strongest tracks are the first three; with the lead work of guitarist Gonzalo Lorente giving the songs an extra leg-up. Manuel Mocholí's bass is prominent and Rebeca Montón's fire-cracking vocals add a bit of fizz. 'Nada Es Verdad' is a fiery, energetic opener, 'Quiero Más' is notable for Lorente's smooth, melodic lead work, and 'Dame La Respuesta' (the pick of the bunch) has a catchy pre-chorus and features another striking solo from Lorente and a main riff that tips its hat to Motörhead's 'Deaf Forever'. 'Reacción' and 'Jaula De Cristal' also just about pass muster but thereafter, the remaining tracks do little more than tumble along in the groove set for them by their predecessors. Unfortunately, that means that despite the early promise, and the inclusion of the eyebrow-raising 'Recta al Infierno' (let's leave that to the professional translators, eh? ), the album as a whole doesn't quite ignite. Solid sound, good effort, but inconsistent song quality means that overall the project falls just short. It's nice to hear some Spanish though!